Basil Hayden’s will soon launch the Two by Two Rye, a whiskey which consists of a blend of two Kentucky Straight Bourbon whiskeys and two Kentucky Straight rye whiskeys. At varying ages which haven’t been officially announced, blending team was inspired by the rapid growth of the bourbon and rye categories. The whiskey will be bottled at 80 proof (40% ABV) and the price will be around $45 for a 750 ml bottle. Both bourbons used are Kentucky Straight bourbons and both ryes are Kentucky Straight ryes and the final blend is about 20% bourbon to 80% rye, but the exact source and ratio of our blending whiskeys is proprietary. The team had full access to our large assortment of aging stocks to create this unique rye that most importantly, tastes pretty damn good. To be first to learn about more Bourbon and whiskey updates, subscribe to our newsletter on this link. 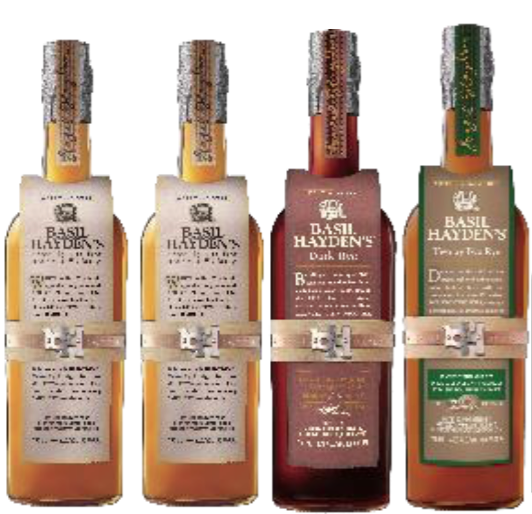 The Two by Two Rye is the fourth release for the Basil Hayden’s collection, which was first launched with the original Basil Hayden’s Bourbon around 1988. Basil Hayden’s Dark Rye and Basil Hayden’s Rye were both launched this past year.